If you’re in a high-profile job or have a high-octane career, the stakes are enormous. As the CEO you’re expected to be a leader and communicate with authority and appropriateness. 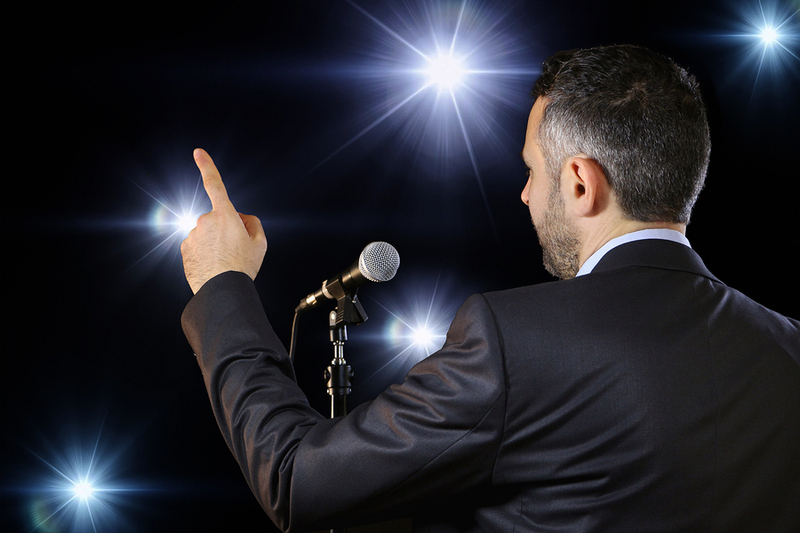 As an actor, a spokesperson, or public figure, you’re expected to dazzle your audiences with words that ignite the imagination. Some do this much better than others. Yet anybody can benefit from private coaching to help improve his or her presentation skills. That’s because there are few natural-born communicators among us. Most of us learn and grow by example, and practice. Laskin Media’s ExecuSpeech program is designed exclusively for high-level executives and others in the public eye who need to make speeches or public statements that critical in nature and could attract intense public interest. ExecuSpeech takes into account the busy schedules and enormous demands that many executives and well-known personalities face on a daily basis. The program is effective, fast and designed to take the anxiety out of public speaking. It begins by making sure the speech is well written and appropriate for that speaker—after all, a great speech requires great words. By using TV inspired techniques, including videotaping…ExecuSpeech achieves amazing results. Even for those executives or public figures who have given speeches before, this program will raise the level of their communication to new heights. The result is a dynamic, entirely personal presentation that hits the mark and leaves a memorable impression on audiences.